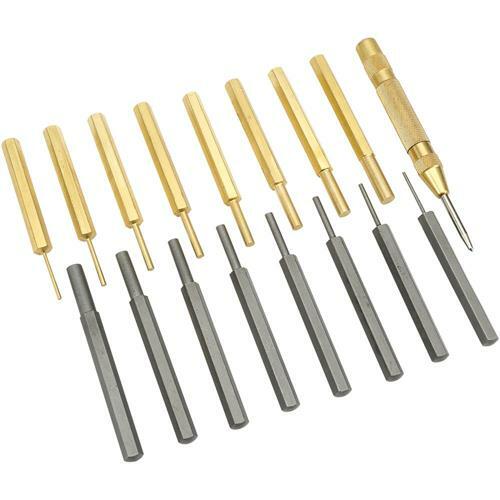 This complete set includes both Brass and Steel Pin Punches plus a brass handled automatic center punch. Each Pin Punch has a hex shaft and is 4" long. Sizes include 1/16", 3/32", 1/8", 5/32", 3/16", 7/32", 1/4" and 5/16". Never be without the right punch again!. Vinyl pouch included. very satisfied with my order. good quality and prompt delivery thank you.